W:O:A Crew has accounced, via their Official Webpage, that the a cappella metal band VAN CANTO comes to Wacken – with some special guests! The exclusive party will happen at the last festival day on and in front of the party stage. The guests are: Tarja Turunen (Tarja, ex-Nightwish), Chris Boltendahl (Grave Digger), André Matos (Angra), Victor Smolski (Rage), Jörg Michael (ex-Stratovarius) and a chorus. Van Canto released their fifth album Dawn of the Brave in February. It entered the charts in several European countries and was followed by a European headliner tour in packed and sold-out venues. 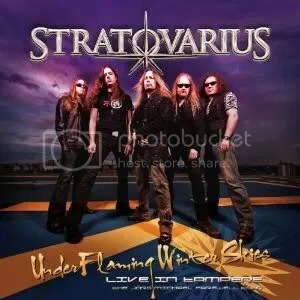 Drummer Jörg Michael has announced his plans to leave the Finnish melodic metal band STRATOVARUS for personal reasons. Jörg, who has been in the group for sixteen years, will play all the remaining tour dates until the end of January, and will celebrate with a special Finnish “Farewell Jörg” tour from November 18 to November 26. Michael was diagnosed with cancer last year and had his entire thyroid removed. Australia’s Kill Your Stereo recently conducted an interview with STRATOVARIUS drummer Jörg Michael. A couple of excerpts from the chat follow below. Kill Your Stereo: Why did you name your most recent album “Elysium”? Jörg Michael: We didn’t have any grand concept or anything, but we were searching for a key point or a key word to describe the feel of the music. Jens Johansson (keyboards) came up with tons of ideas for the title, but we hadn’t settled on anything, nothing caught our eye or ear. When it came time to release the album, I went back to all of Jens‘ suggestions and saw “Elysium” and thought it would fit completely for the new story of STRATOVARIUS, with the “Polaris” star from our last album. “Elysium” has several meanings, one is a state of paradise, which reflects on the current situation on STRATOVARIUS. We had this huge turmoil with (former guitar player) Timo Tolkki for many years. We’ve finally found our peace with a new guitar player and we are on the road, this reflects all that. On top of that, (new guitarist) Matias took the album title to name his epic song, the 18-minute album closer. Kill Your Stereo: European metal has a much stronger tradition of melody compared to U.S. metal. Why do you think this is and how important do you think melody is to making good rock and metal? Jörg Michael: Well, there are many European bands who don’t use that much melody, if you think about all these Norwegian black metal bands, for example. But for me it’s different, it depends what you want to do and where your roots are. With STRATOVARIUS, all the members, from Timo Tolkki, Jens, myself, Timo Kotipelto [vocals] have all been big fans of DEEP PURPLE and that era of rock bands. We grew up with this, and I didn’t see any of those “noise-metal” bands at the time when we grew up. So for me, it’s absolutely essential to have melody in music, and in heavy metal or otherwise I’m not able to listen to it. Kill Your Stereo: In 2004 (longtime guitarist) Timo Tolkki was diagnosed with bipolar disorder. Before his breakdown and the band hiatus, did you know that he had mental health problems? Did it make working in the band difficult? Jörg Michael: [Laughs] Yes. It’s something that’s difficult to talk about. From the beginning of my time in the band, Timo was in different kind of therapies and seeing shrink doctors and so on. So it didn’t surprise us, as he was always very open about things. He had a very hard childhood with his father dying in front of him when he was seven years old and other events. Many STRATOVARIUS songs are written about this, for example “Forever”, many people think it’s a love song, from a man to a woman, but it’s actually about his father. 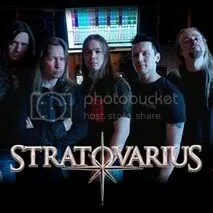 For a very long time I think STRATOVARIUS was the best band in the world, with this particular lineup. It was really great to work with these guys. Starting with “Infinite” in 2000, through to the “Elements” record in 2003, this is when it all started. We became distant from each other and we didn’t do many things together. Still, it was a big surprise when the actual breakdown came. Now looking back at the history of the band, there are certain things that we could have spotted and said ‘hey there’s something not right.’ At the time though we didn’t really pick up on it. We always knew there were problems and we were very happy that he spoke openly about it, and told the other members of the band that he was undergoing therapy and so on. Nonetheless, when the nervous breakdown came during the recording of the STRATOVARIUS album in 2004 it was a big surprise to us. It wasn’t difficult to work with him at the beginning, but after “Elements” in 2003, it became more and more it difficult. We tried it after the nervous breakdown, in 2007, but it was almost impossible. And then he tried to disband the band and then the whole thing was going in completely lunatic areas. It’s a shame, I never would want this to happen to anybody, but that’s basically what happened. Kill Your Stereo: In an interview, Jens Johansson (keyboards), said you were initially against the idea of continuing STRATOVARIUS after Tolkki left. What made you change your mind?